The Children's Workforce Development Team are part of AfC and we are responsible for the commissioning, delivery and quality assurance of all training for those working with children, young people and their families across Kingston and Richmond local authority areas. We offer comprehensive and highly evaluated training programmes on a wide range of relevant topics. If you work with children, young people and their families we are here to help meet your training needs. We continually seek to strengthen our offer by learning from innovation and by investing in the skills and professional abilities of our workforce. 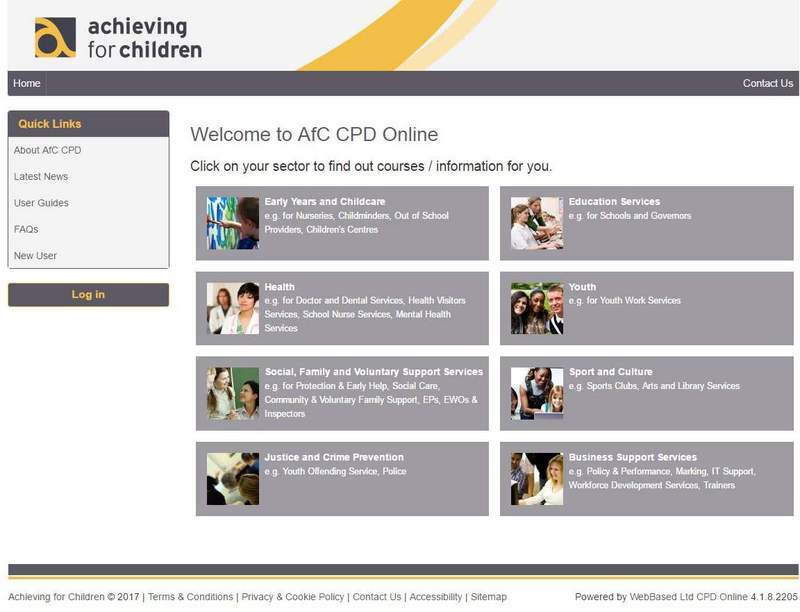 Our training offer is available on AfC CPD Online, our training portal.